Rob Thomas and Matchbox Twenty Reveal "She’s So Mean"
Matchbox Twenty has announced the world premiere of the companion video to their electrifying new single, “She’s So Mean.” The clip – directed by Rich Lee (Eminem, Norah Jones, will.i.am) –debuts today Monday, July 30th at 1pm EDT/10 am PDT on the music home page of YouTube www.youtube.com/music. “She’s So Mean” is the first single/video from Matchbox Twenty’s hugely anticipated new album, “NORTH.” The track is already ascending at multi format radio outlets nationwide, coming in this week at #13 on the Hot AC chart. In addition, the “She’s So Mean” video has already been added into large rotation at VH1, with a TV premiere slated for later next week the Top 20 Countdown. As if that weren’t enough, the single’s recently unveiled official lyric video has already drawn over a million views at YouTube. Matchbox Twenty’s fourth full-length studio recording and first all-new album in a decade, “NORTH” arrives everywhere on September 4th. The album sees the band driving their pop-rock sound further forward, magnifying the indelible melodies, crafty lyricism, and glorious hooks that have defined their multi-platinum body of work. Matchbox Twenty – Rob Thomas, Paul Doucette, Kyle Cook and Brian Yale – lived together last summer in a house in Nashville where they collaborated on the new material before once again joining forces with the Grammy Award-winning producer Matt Serletic at his Emblem Studios in Calabasas, California. 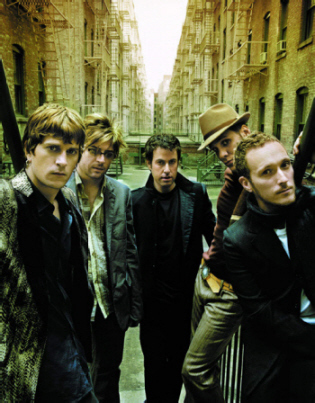 The result of their labors stands among the band’s finest, with songs like “Overjoyed” and “Put Your Hands Up” marked by Matchbox Twenty’s instantly identifiable sonic approach and unadulterated high spirits. Thomas will be seen this fall as a mentor on the upcoming third season of NBC’s smash singing competition, The Voice. The Grammy Award-winning singer/songwriter – who recently co-hosted an installment of ABC’s LIVE! With Kelly – will join Cee Lo Green’s team, working with contestants and giving them tips before their performances. The Voice premieres September 10thon NBC (check local listings).